I hiked up the hill to take a new picture for the website. Every staged picture needs a few props, so I grabbed my axe, knife, and a bark berry basket. After taking some shots, I headed out the ridge and was glad I brought the basket. 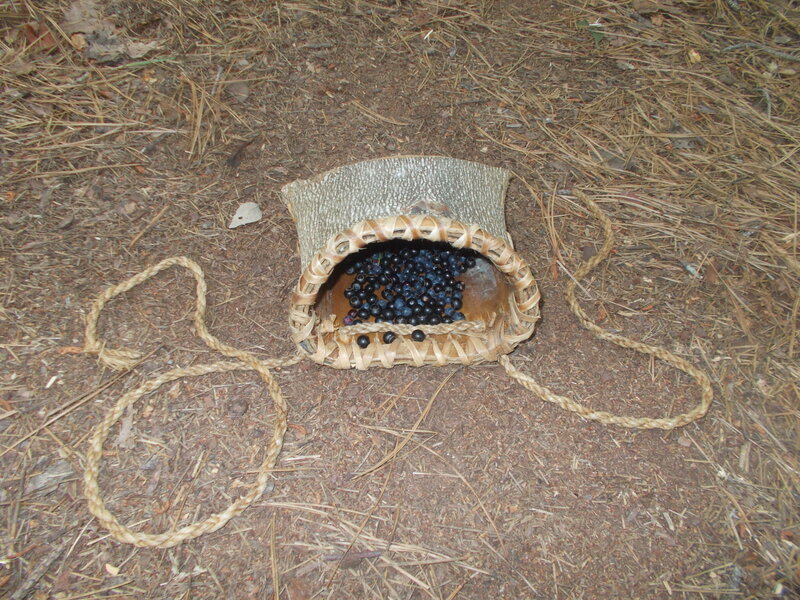 Earlier in the summer, I taught my step-daughter and wife how to make poplar bark baskets before a camping trip. 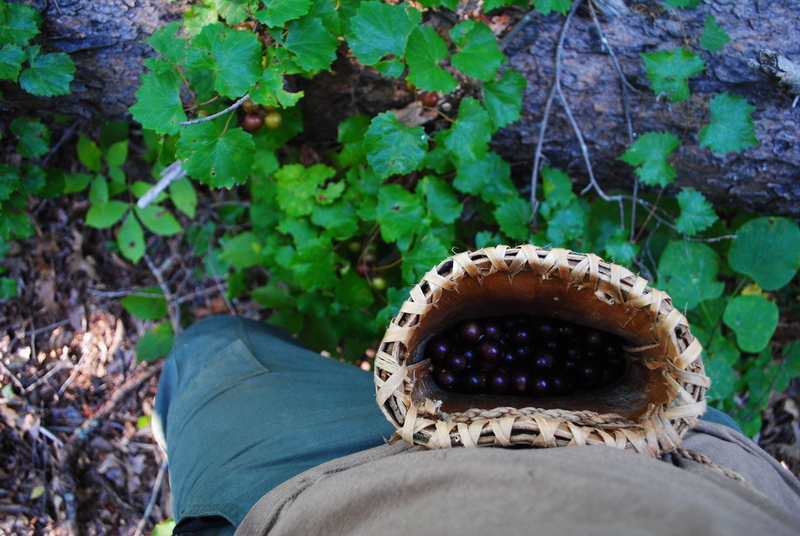 We used them to pick blueberries and huckleberries on the island for “Berry” bannock. I used Sam Thayer’s “blickey” concept for mine and liked the two hands free benefit. I will post a tutorial on making these baskets in the future. Today, I found out another benefit after loading up with muscadines. I kept it on while hiking back to the house and was able to munch on them the whole way back. Being a good forager, I would pop one in my mouth and then spit the seeds out to start new vines in the future. 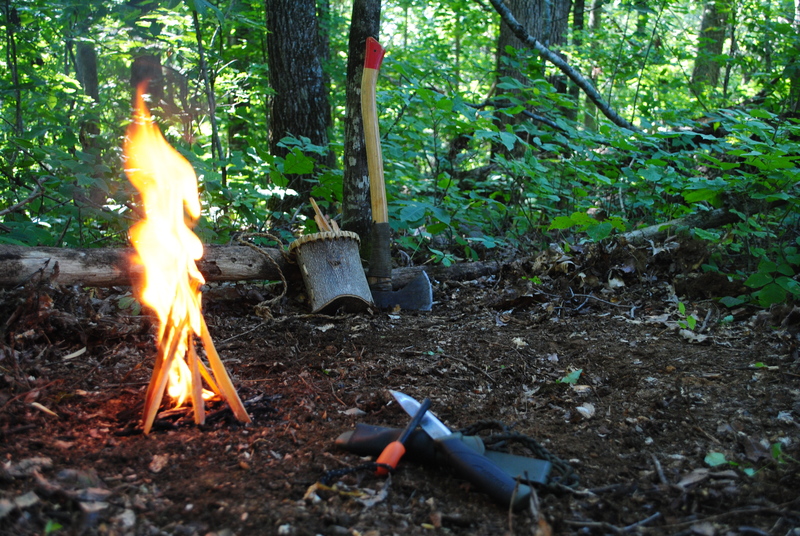 If you have ever sat around a campfire, you know that it becomes a “primitive TV”. Like staring at clouds, you can see animals, shapes, and even faces. Capturing one of those faces on film is always a good surprise. 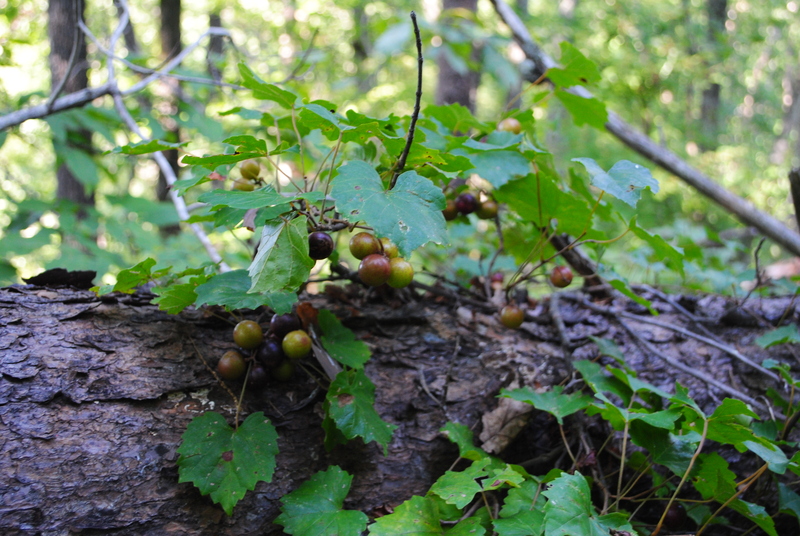 This entry was posted in Foraging and tagged berries, blickey, foraging, Grape, Muscadine, Sam Thayer on September 5, 2013 by bigpigoutdoors.